Welcome to this week's edition of the Royal Caribbean post round-up, where we summarize all of the Royal Caribbean news and information from this week into one handy-dandy post! There is plenty of great content to enjoy, so sit back, relax, and enjoy this week's round-up! 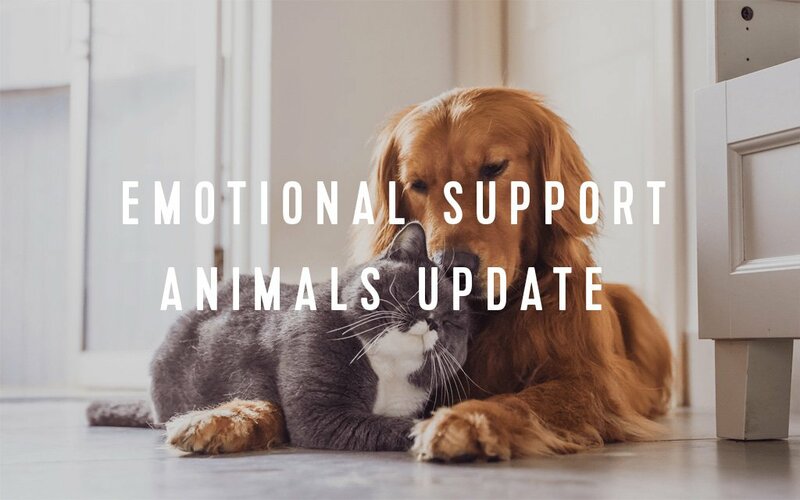 The big news this week was Royal Caribbean's announcement that it is banning emotional support animals from its cruise ships. The cruise said they were updating its policy to differentiate emotional support animals from service animals that are trained to perform a function for a person with a disability. Moving forward, emotional support animals cannot be added to existing or new reservations. Confirmed guests who already have emotional support animals noted in their reservation will be permitted to bring the animal. Royal Caribbean is rolling out a new crew member name tag design. The shipyard building Spectrum of the Seas issued a construction photo update. We shared a Perfect Day at CocoCay construction progress photo report. Royal Caribbean provided a smart phone app and online check-in feature update. The answer to if a Royal Caribbean drink package right for you. The top reasons to be excited about Symphony of the Seas' arrival in the United States. Check out this video of how the world's largest cruise ship sails into St. Thomas. Nine things you should know about Royal Caribbean suites. New photos of the PortMiami cruise terminal progress. The 263rd episode of the Royal Caribbean Blog Podcast is now available, where we take an in-depth look at wheelchair accessibility on Royal Caribbean cruises. If you or someone you know is going on a Royal Caribbean cruise and is in need of a wheelchair, this week's episode is full of tips and advice for having a hassle-free cruise experience. Cruise 1st wrote all about cruise line dress codes. Riviera Maya News reports that new security x-ray machines will be installed at Cozumel. Eat Sleep Cruise reviewed their recent sailing on Mariner of the Seas. Binny's Food & Travel Diaries reviewed their day on Independence of the Seas. Los Angeles Times wrote about Royal Caribbean's video-making tool that uses AI.